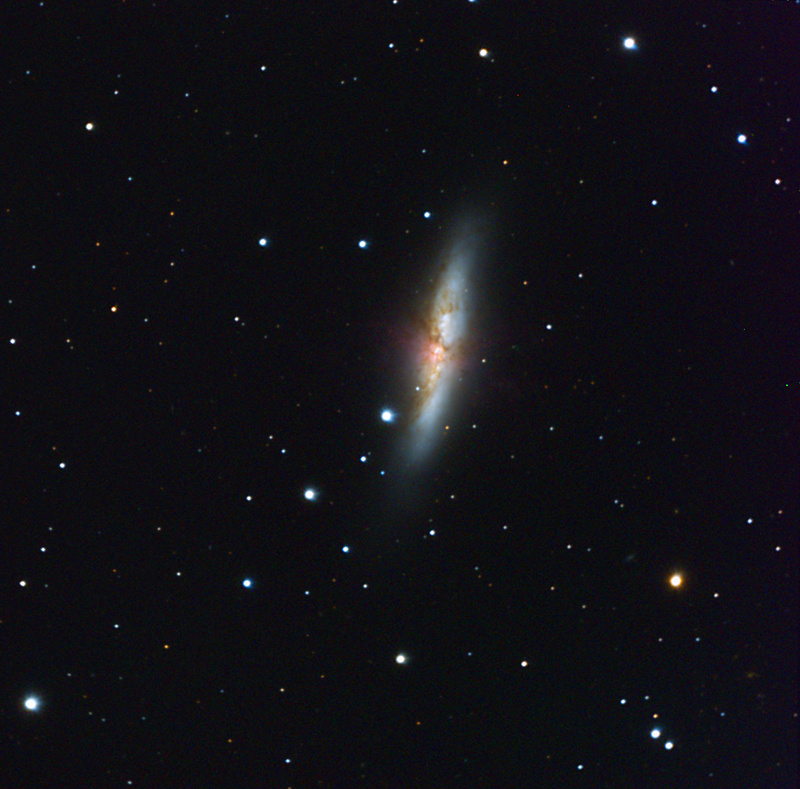 C8 at F10, SBIG ST-4000XCM -25,35C 6h20min (38x600sec). Light travel time: 12 mill years. Conditions: was a mix, 26'th had very good seeing but then clouds came in ;)got only 6 frames. Processing: CCDSoft, Astroart, ImageJ (Alignment w. Turboreg), IRIS, PSE9 adjustments.